If you are bringing a new puppy home there are different steps for you to follow, but if you already have other pets, it’s a new puzzle. Getting a new puppy brings joy and life to the family. A puppy is a great companion who can help calm your anxiety and make your kids feel happy. If you are bringing a new puppy home there are different steps for you to follow, but if you already have other pets, it’s a new puzzle. Introducing a puppy to a house full of other dogs and/or cats can be a struggle. That doesn’t mean that it is impossible. You just need to be careful while you are in the adjustment period and take extra steps to make sure both your new puppy and the other pets in the house are happy. Throughout the process, make sure that you are reading the body language of your individual pets. For more info, there are plenty of resources online, such as PetVetsOnline, that have resources to help you with your new puppy. 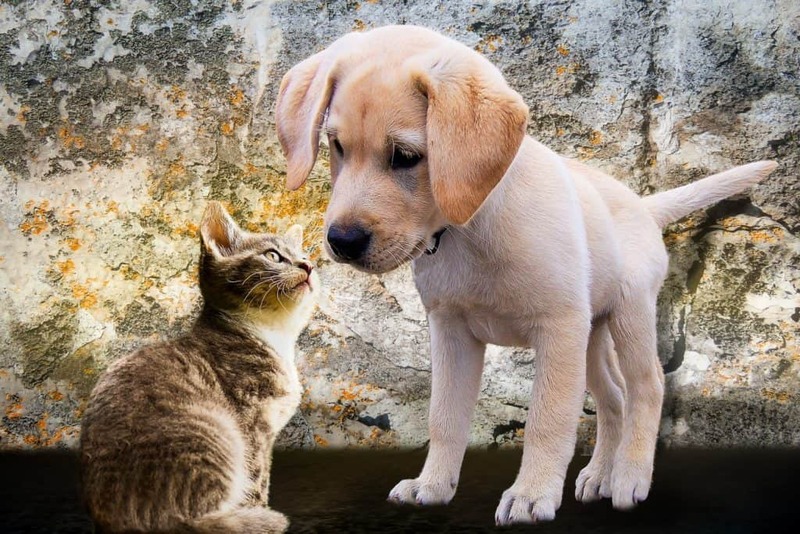 Dogs and cats can easily live together if time is taken to introduce them and set clear boundaries. The transition will have to be done slowly and taken step by step in order to ensure both your new pup and your cat feel comfortable at home. When first bringing your puppy home, you should separate the cat and puppy in adjacent rooms separated by a door. Your cat should have all the basic pet supplies (litter box, food, water, etc.). This means that you and your puppy can get used to one another without outside influence. When you and your puppy are on good terms, you should put a blanket with the puppy’s scent in the room with the cat. This allows them to get used to the scent and make the transition to living together easier. Once the two animals get comfortable in their rooms, switch their places. Do this a few times before introducing them to one another officially. It’s important to give equal time to each animal so that neither feels neglected. Also, be sure to give your cat a space to get away from the puppy if necessary (since cats need alone time). If you have other dogs, the steps for getting the animals adjusted to one another will be different. It is best to introduce the animals to one another face to face first. Make sure they are meeting somewhere neutral (like a park or the neighbor’s yard). 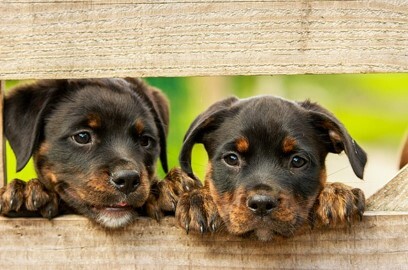 This will ensure that your older dog is not territorial and will open up more easily to the puppy. The first meeting should take place between unleashed dogs and between a chain link fence. This allows both dog and puppy to feel safe and not restricted. They are less likely to be aggressive as well. Another good way to get the dogs comfortable with one another is parallel walking. This means that the two dogs are walking together on separate leashes. Make sure the tension is loose and you are giving the dogs plenty of room to walk. It’s important to ease into the nose-sniffing range and not allow for any challenge staring between the two dogs. Read their body language and check in to make sure the meeting is going smoothly. If they are friendly during the walks, now is the time to enter home territory and you can get a perfect guideline from dogproductpicker. Start in the yard and work slowly, separating the pair every few minutes so they don’t get too excited. If you have multiple dogs already, have the pup meet them one at a time. When it’s time to go inside, have your resident dogs meet the new puppy. Remember, every animal is different. Just because your friend’s dog got away with their new puppy right away doesn’t mean yours will, so it’s always best to take things slow. With patience and consistency, you’ll be able to have a happy home where everyone gets along! 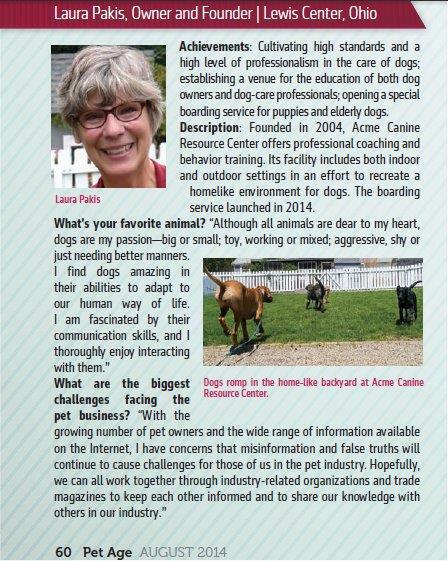 This entry was posted in Dog Behavioral Issues, Puppy training and care. Bookmark the permalink.